With the Dodgers’ division-winning odds now at 96.1 percent (98.2 percent to make the playoffs), this seems like an appropriate time to predict a postseason roster — something that was in question just a few short weeks ago. That’s 20 no-doubters, in this blogger’s opinion. There are only eight pitchers listed, so there is room for four more pitchers, if we’re going off last year’s 13/12 position player/pitcher split for the 2017 NLDS. That would leave room for just one position player. Before we get to the candidates, let’s rule out some folks who are on the 40-man roster due to performance and depth reasons. I don’t see a scenario in which any of these guys get the nod over the rest of the players on the roster. Axford, Garcia and Urias are coming off injuries, Gale is only on the 40-man because of Barnes’ ineffectiveness and Utley is pretty much done. Stripling is a near-lock because of his versatility and effectiveness as a starter and reliever. One would think Wood falls into that category too, so let’s include him as well. That’s two of the four spots filled. Hill would, seemingly, be a lock, but in a 5-game series, there isn’t a need for a fourth starter. Using his roster spot on a pitcher more specialized and used to pitching in short relief could be more beneficial. And if they didn’t want to throw Kershaw in a potential Game 4 on short rest, they could go with some combination of Stripling/Wood to get through the game’s first 4-6 innings. Ferguson is also capable of going multiple innings. The Dodgers were ballsy enough to leave Baez off the postseason roster last year, but he is having his best season since 2015, even if he is maddeningly inconsistent. If Cingrani were healthy (and his first game was a step in the right direction), he’d be a lock. And there is precedent for a pitcher who missed a good portion of the season who came back and made the postseason roster — Scott Elbert in 2014 and, well, that didn’t exactly go too well. Fields missed a good portion of the season due to a sore shoulder, but his strikeouts are gone as are his chances to make the postseason roster. 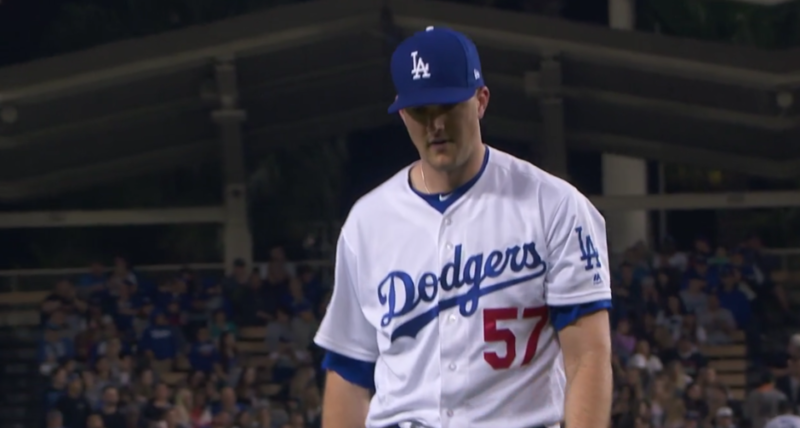 Madson has not been great so far as a Dodger, as he sports a 9.00 ERA and 0.15 FIP, because baseball. The sleeper here is Rosscup who, despite having a mediocre ERA and FIP with the Dodgers, gets a lot of strikeouts and boasts a ridiculous 20.8 swinging strike rate (small sample size of 10 2/3 innings applies here). On the position player side, there’s room for one player. With so much versatility on the roster, it’s hard to nail down one player to include. Each have a legitimate case. Dozier, despite his struggles, has the track record and Veteran Presents to snake a spot on the roster. Farmer would serve as the third catcher, but with Barnes not hitting well this season, there’s less of a reason to carry a third catcher seeing as Grandal should start almost all the games in the postseason. Locastro and Toles would be the speed options off the bench. Locastro might be the better base runner, but Toles has had success in his brief time in the majors over the last couple of seasons. He has fallen a bit out of favor because there are just too many hitters ahead of him on the depth chart. Verdugo is an interesting guy here because he does something almost no other Dodger does — makes consistent contact. That could be a valuable asset to have off the bench in a crucial spot. Baez gets the final nod over Madson. If last night’s game is any indication, it appears Baez is higher on Dave Roberts‘ depth chart than Madson is. Stripling and Wood are no-brainers. Rosscup is the pure lefty specialist the bullpen is lacking. 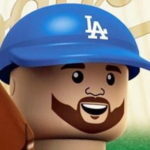 I opted for Verdugo over a speed guy like Locastro or Toles because I think the team has enough speed and, outside of an extreme situation, there won’t be a need for a fast guy. I’d rather have a good hitter be the last guy off the bench. There will likely be another version of this post once the Dodgers clinch and things become more clear. But it sure looks like the Dodgers will win the NL West for a sixth consecutive season, despite the bumpy road.